I pretty much thought that I knew everything there was to know about baseball. My brother played ball as a Little Leaguer, Red Devil, VU Crusader and Michigan City Star. Every free moment I had was spent in the bleachers. Our family’s love of baseball intensified in our home the summer when the knob on the television set broke. For months, the channel was stuck on WGN Channel 9. We watched endless Cubs games, and loved every minute of it. So, it’s been an interesting, yet bizarre, experience learning all kinds of new baseball rules over the past several days while watching post-season games. I learned that you can no longer take out the second base man on a slide; a bat in the face mask of a catcher isn’t reviewable; a player can’t block a runner from home plate if he doesn’t have the ball; and, if the momentum of a slide takes a base runner off base – too bad for him. Baseball has as many rules changes as parenting. Once upon a time, the father sat in the waiting room while mothers delivered the baby. Today, many fathers are right there in the delivery room, perhaps even having the privilege of cutting the umbilical cord. Some women smoked and drank when they were pregnant. Today, experts warn against consuming even diet soda and certain fish while expecting. I don’t know how much of our shenanigans our mother knew about while our dad was away at work. We survived drinking from garden hoses, smashing cap gun caps on the sidewalk with a hammer, putting rocket engines in whiffle bats and playing badminton in the street. Our toys – Klik Klaks (two glass balls tethered to a string) and Jarts (metal-tipped mini javelins thrown on the lawn) later become outlawed. Sure, there was a chance that the Jart could hit you in the head, but why would you get in its way? It would hurt. When we were out after the sun set, no one called out to us to see if we were still alive. If we got hurt, our parents trusted that we’d make it home. If we had an argument, they trusted that we’d work it out. In those days, we played with real people and not avators. From interacting with live, breathing creatures, we learned resiliency and standing up for ourselves. If guns and drugs were around, we were oblivious to it. We were expected to eat what was in front of us, or we didn’t eat. Our parents didn’t make a separate entrée to suit each person’s preference. Our bike or our two legs were our primary source of transportation. No one chauffeured us around town. Decades of research from science and child development experts has prompted us to adjust and revise some parenting practices. For example, now that we know that garden hoses can leach lead, we don’t let our children drink from them anymore. According to Sandra Graham-Bermann PhD, a psychology professor and principal investigator for the Child Violence and Trauma Laboratory at the University of Michigan, “Physical punishment can work momentarily to stop problematic behavior because children are afraid of being hit, but it doesn’t work in the long term and can make children more aggressive.” Instead, Dr. Graham-Bermann recommends that the best approach (albeit one that requires patience), is for parents to remain calm during a child’s tantrums, and to use time outs when needed and a consistent discipline plan that rewards good behavior. Some parenting changes over the last few decades are somewhat of a natural progression that evolved out of societal changes. According to the PEW Research Institute, 46% of all two-parent families with children younger than 18 have both parents working full time outside the home, versus 31% of U.S. families who fit that description in 1970. That means more children are in childcare or caring for themselves while their parents are working. They’re learning to feed themselves, discipline themselves to do homework and maybe even put themselves to bed. We’ve learned to adjust to our round-the-clock schedules by embracing conveniences – such as disposable diapers, juice boxes rather than thermos’ filled with milk, refrigerated ready-made lunch packets and sandwiches and drive-thru restaurants. The advances that bring conveniences to our way of life today are somewhat of a double-edged sword. For example, the internet provides us with access to information at 2 am about how to soothe a teething baby or the best treatment for a child’s fever. At the same time, it gives us access to news at 2 am to see the graphic carnage of a terror attack. It can create information overload. And, because information is readily available online, we can isolate ourselves from reaching out to others for help. The internet can’t replace the expert knowledge of a physician who knows your child’s medical history. Electronics open up the world to our children and give them the chance to chat “live” with relatives and family friends from the other side of the country. They also give our children the chance to chat “live” with ill-intentioned people from the other side of the country. When children today are out playing, babysitting or on a date, they can check in with their parents using their cell phone. The cell phone has become their primary source of communication, because when they are sitting across from a sibling a friend at the dinner table, they still prefer to chat with them by a cell phone. The old-fashioned, eye-to-eye contact kind of dialogue has gone by the wayside. 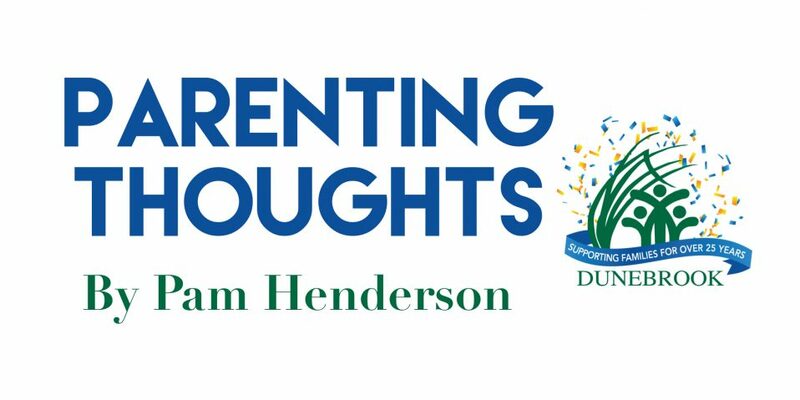 Just like in baseball, where new rules are intended to keep players safer, new ideas in parenting practices are intended to help children be safer. It’s not a criticism of past parenting trends, just like it’s not a criticism of how baseball used to be played. Instead, with decades of research and study, child experts have new and updated information. When we know better, we can do better. Sometimes in baseball and parenting you hit a home run. Sometimes you need some relief. One thing that has never changed in parenting, or baseball, is that you don’t want to strike out.